FREE Appetizer With Entree Purchase At Longhorn Steakhouse! 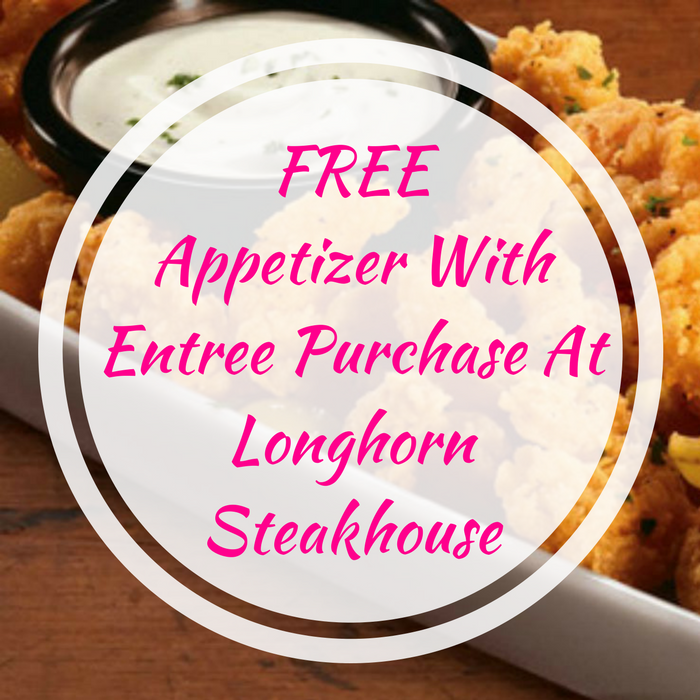 You are here: Home / FREEbies / FREE Appetizer With Entree Purchase At Longhorn Steakhouse! Here’s a great FREEbie for you! Longhorn Steakhouse is offering a FREE Appetizer With Adult Entree Purchase! All you need to do is sign up for their club here to get your coupon. You can choose from a number of tasty starters, including Wild West Shrimp or Seasoned Steakhouse Wings – normally priced at $11.49. Awesome! What are you waiting for? Find your nearest Longhorn Steakhouse now!